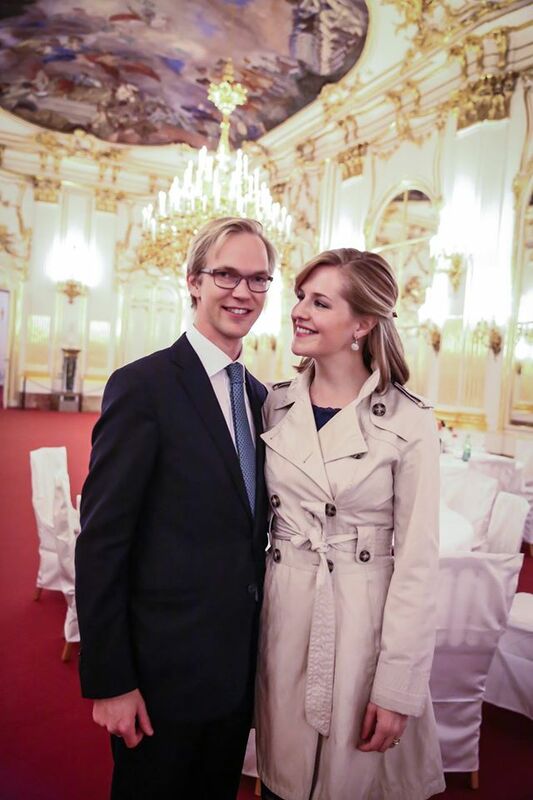 Archduke Imre, oldest son of Princess Marie-Astrid and husband Archduke Carl-Christian of Austria, and his wife Archduchess Kathleen were in Vienna the other weekend. The duo attended a conference entitled "Catholicism in Our Modern World" organised by the Napa Institute together with Christoph Cardinal Schönborn, the Archbishop of Vienna, and the International Theological Institute in Vienna. The conference took place at the Ritz-Carlton with many detours at famous landmarks of the Austrian captial, including Schloss Schönbrunn, former (summer) residence of the Habsburgs. At the palace of his ancestors during one of the conference's events Archduke Imre gave a talk on his great-grandparents Blessed Emperor Karl and Empress Zita, the last Habsburgs on the Danube monarchy's thrones. More pictures of the event on the Facebook page of the Napa Institute.